Nokia N86 definitely does not need any introductions as the phone itself defines a unique class from Nokia. In a nutshell this incredible best seller from Nokia Mobiles can be described as the inimitable phone with an amazing blend of high technology and eye catchy stylish design. 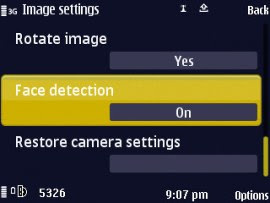 The Nokia N86 with stunning 8 mega pixel camera has received its v20 firmware upgrade with v20.115 which is now available on the official Nokia website and can be downloaded via the Nokia Software Update. The major improvements are in the camera department with improvements in its performance and enhancement in the overall imaging quality. 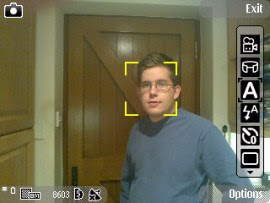 Apart from the general improvements in still imaging and enhancement in the video quality the most highlighting addition is its face detection feature. With the improved features and face detection, imaging in the Nokia N86 is promoted to an advanced level. Nokia is certainly looking forward to enhance their imaging department as the previous major update for N86 8MP also improved the video quality along with low light shots. This new update from Nokia, adds a red-eye removal feature and a new focus point indication with upgraded macro shots for spectacular image quality. Apart from the camera, the new update of Nokia N86 8MP fixes the bugs in Ovi maps, improves the browser, upgrades messaging and takes the Music Client store to the next generation. The entertainment department is not left aloof as the update improves the N-Gage platform and Real Player for getting connected with non-stop entertainment. So, what are you guys waiting for? Update your Nokia N86 today and dazzle into the world of quality photography and entertainment.